You can relax on our beach, facing south-west facing with stunning scenery of the Causses… at only 2km (1.2 miles) from Rocamadour village. Le Ryokan offers you a return to Nature. Situated in the protected natural zone of the Ouysse and Alzou valleys, it lies near major hiking trails and the Santiago de Compostela pilgrimage trail. You will experience a rebuilding of your spirits in this exceptional outdoor site and take advantage of the nature that surrounds us. We utilize renewable energy sources (solar water heaters, rainwater collectors, heat pumps) for both your maximum comfort and protection of the environment. 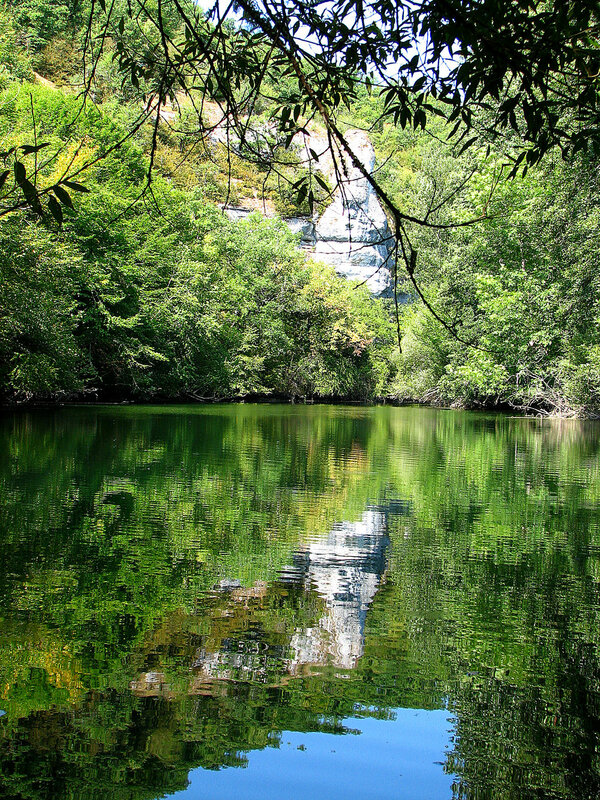 We are located at 2 km from the sacred city of Rocamadour. Our village is one of France's most important tourist destinations and a UNESCO World Heritage Site, it has also been a crucial pilgrimage site on the 'Way of Saint James' for hundreds of years. 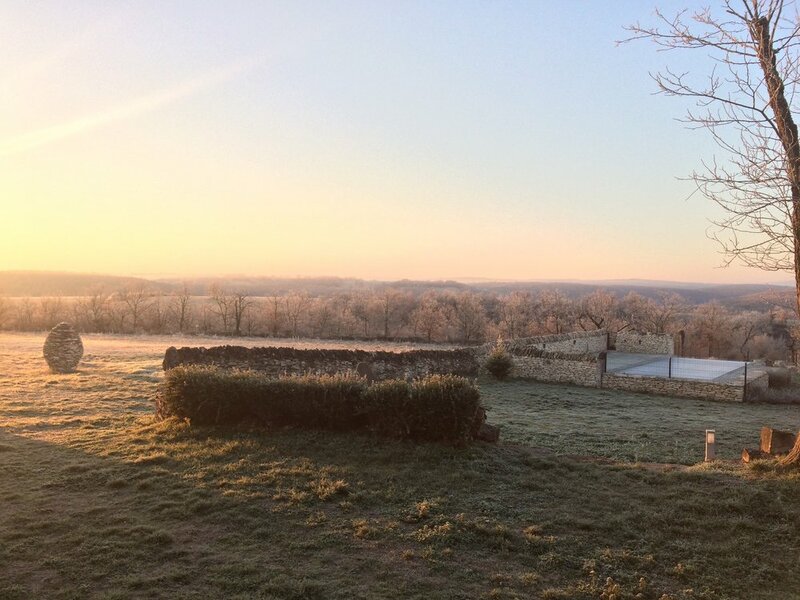 Take advantage of your stay at Le Ryokan to discover the Quercy-Périgord area on the Dordogne valley. With its varied and picturesque sites and outdoor activities, you will enjoy memorable days rich in fulfilling experiences. You can try our regional specialties in the numerous restaurants in and around Rocamadour. Enhance your evenings by enjoying our Festival de Rocamadour. 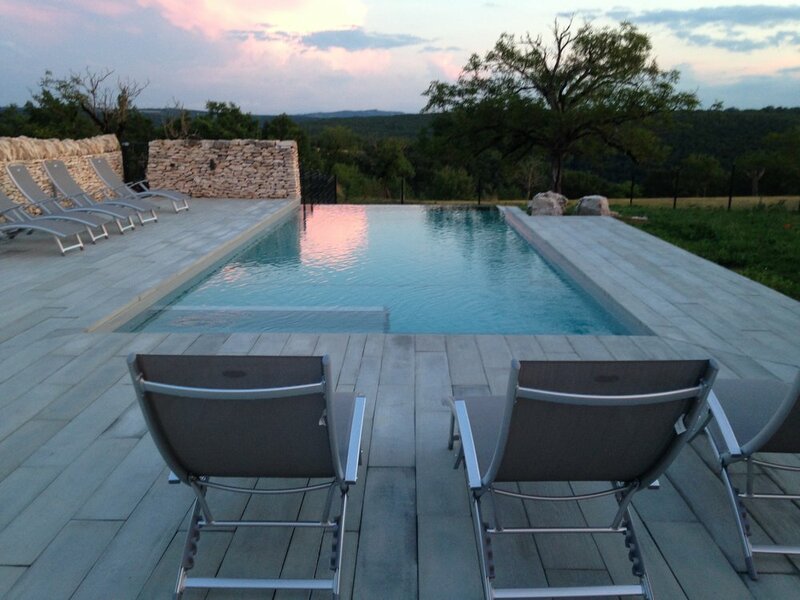 You will be received in a completely restored stone former barn. Blending the traditional and the modern, Le Ryokan features an exterior in the traditional Quercy style and an interior designed and fitted out by an interior designer. In this family home that has belonged to Amadouriens for generations, the accent is on harmony with nature, with particular attention to the comfort of the rooms.Your hosts Aurélie, Philippe and theirs three boys are deeply attached to their "terroir", and will enjoy receiving you and sharing their fondness for this little patch of paradise.